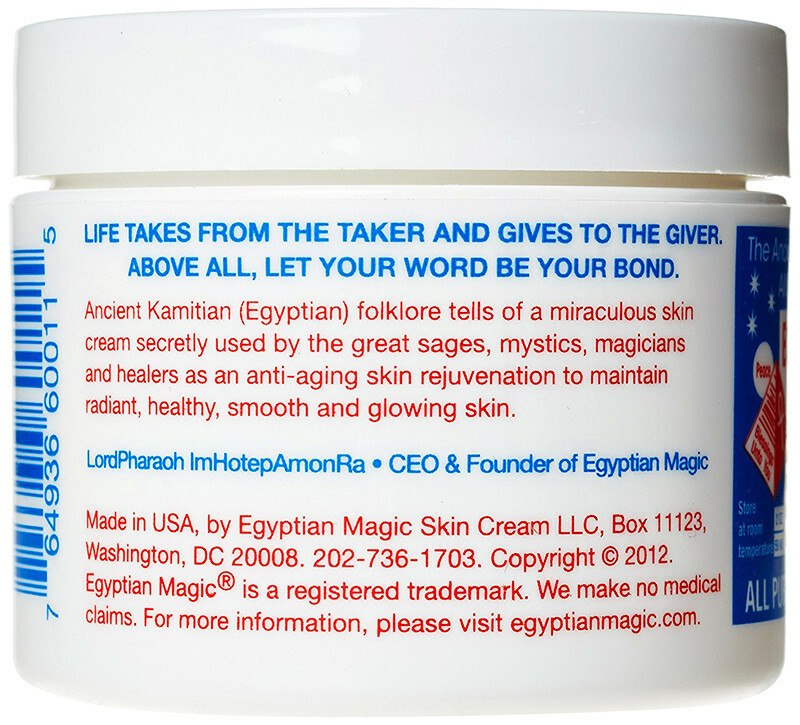 Egyptian Magic is a blend of 6 of Nature’s most powerful healing, and moisturising ingredients made with the wisdom of the ancient pharaohs. No additives, preservatives, fragrances, or parabens. Just pure, 100% natural goodness. 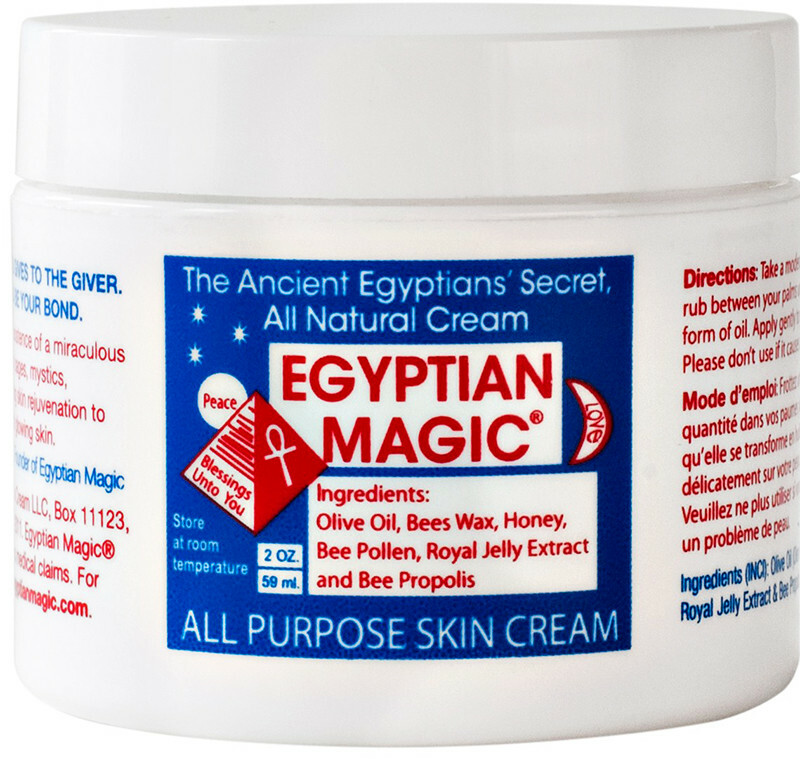 Discover what the ancient Egyptians knew thousands of years ago with this all-purpose skin remedy. Royal jelly is the substance fed to bee larvae which are being nurtured to become queens. It contains 17 different amino acids, B vitamins, and has been shown to improve collagen production in the skin. Propolis has potent antibacterial, and antifungal properties. The antifungal properties in particular make propolis well suited for battling minor candida. Olive oil is rich in fatty acids which soften the skin, and help to improve its natural elasticity. Warm a small amount between your palms until it takes the form of an oil. Once the application has extended, gently apply to your skin. Available In: 59 ml, and 118 ml. Honey, Beeswax, Olive Oil, Royal Jelly, Bee Pollen, and Bee Propolis. So pricey especially since other products with similar ingredients are available. and made me breakout so use it for body not face now. Love this cream! I had read about it online and was keen to try it for a long time. I have acne prone skin and breakout often, and despite the common idea being that you shouldn't use oily products on your skin, this works! My skin has cleared up significantly. Tend to use it at night mostly.